One of the most important aspects of turf maintenance, if not the most important is proper water and/or irrigation techniques. Here we will give you some good ideas for managing soil moisture for your lawn. In the golf industry most superintendents will periodically take a soil probe and careful pull a sample of the soil profile in order to observe different aspects of the soil. One of those many variables is roots. Healthy roots are the key to healthy turf. Grass roots grow in soils that are moist and well aerated or aerobic (having plenty of oxygen). For the most part, root growth does not move from dry soil to wet soil looking for water. If you water your lawn deeply then the roots grow deeper. Keep in mind, most turf grass roots are concentrated in the first 6 to 8 inches of soil, but some like paspalum may go much deeper. As these roots grow deeper the areas by which they can pull water from increase because of the greater surface area to volume of soil reached. But if you water too much and soil becomes saturated with water and void of oxygen, the roots will not grow deep rather will stay close to the soil surface. However, if you irrigate with just enough water to wet the first few inches of soil that is where the roots will stay. Unfortunately, shallow roots usually end up with localized dry spots (LDS) and send turf into stress. 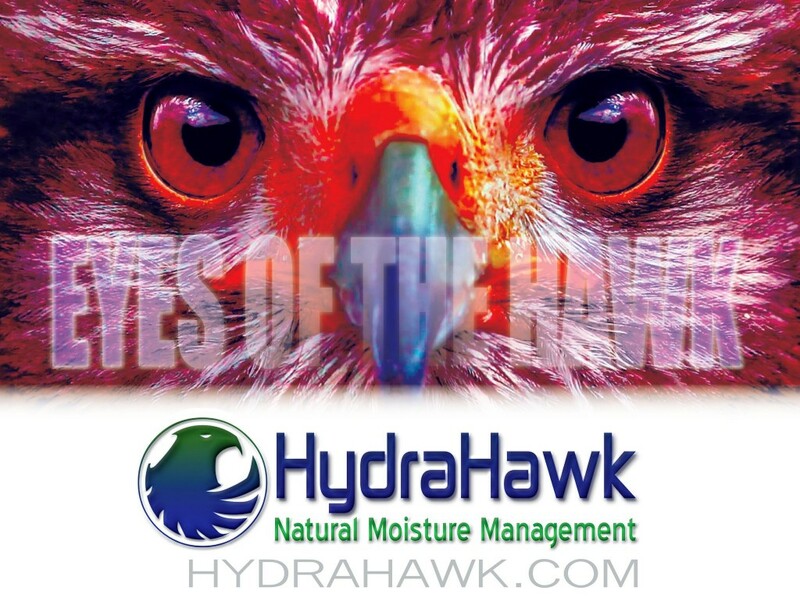 Using a soil wetting agent like HydraHawk can help keep water moving through the soil and allowing for some (but not too much) retention of water. This combination will assist with keeping the soil and root zone aerobic (with oxygen) and assist with deeper penetrating roots. Water to the right depth. Water should penetrate to the about 6 to 8 inches in the soil’s profile. Watering to a shallow depth may result a shallow rooted lawn that can dry out quickly, however watering too much is wasteful as the roots will only grow to a certain length in general. You can check the to penetration of the water with a stiff metal rod or something similar to a long screwdriver. The rod will usually move easily through the moist soil and then it will stop or become difficult as your probe reaches dry soil. If you so choose, you can buy a professional soil probe. Soil probes remove small cores of soil so that you can feel and observe how moist they are. They are also beneficial for looking at root color and health among other variables. Let you lawn dry some between irrigations: Letting your lawn dry out some between irrigations creates a sustainable water-air relationship that is critical for healthy roots. 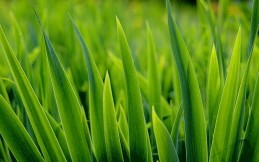 The lawn, like other plants, will let you know when it is thirsty. Avoid water runoff: Because of various factors in the soil such as compaction and soil make up, you can water faster than your lawn can absorb it. Products like HydraHawk can really be a benefit here. On top of using some type of surface active agent, try and water in intervals of about 10 – 15 mins, turn off the water and let it soak into the soil. Afterward turn on the water again for another 10-15 mins so that you are achieving the goal of getting the water down to about 6 to 8 inches deep. Morning Irrigation: The early morning is the ideal time to water your turf because the weather is usually cooler, there is less wind and the humidity is higher hence the water is less likely to evaporate. However, early morning does not mean midnight. Wet grass at night can be a recipe for a disease disaster. Monitor irrigation water amounts in summer: Try to irrigate only one or two inches of water per week during the growing season. You could irrigate the whole amount of water at one time, however most folks have better results splitting the amount into two separate applications. Please note however in sandy soils where the water percolates more rapidly it may benefit you to split the applications into three separate irrigation cycles. You do not want to irrigate more than three times a week because you would be applying so little water the outcome would be shallow roots. Observe your lawn: This is pretty simple really. Watch your lawn. It will tell you when it is wanting water. 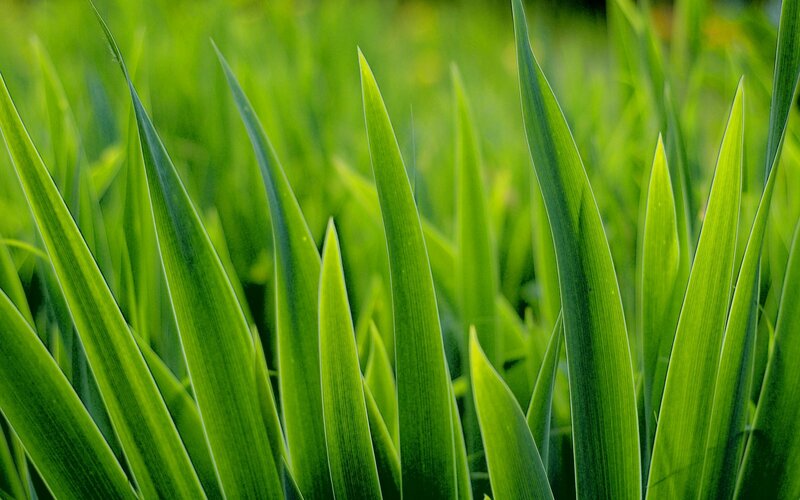 If the grass does not dry out between watering, stretch the intervals between waterings. If it seems like the water is not getting deep enough into the soil profile just apply a little more water each watering, but do water less often. Now if the lawn looks healthy and everything seems fine, try cutting back and conserving water. You can always make adjustments as you go.